The Victorian Labor Party is building a reputation for supporting renewable energy. On several occasions over the last year, shadow energy minister Lily D’Ambrosio has outlined Labor’s stance on renewable energy. 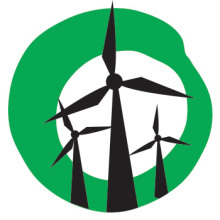 At a conference in Melbourne last year, D’Ambrosio critiqued the government’s planning laws that ban wind farms in the windiest parts of the state, branding them “extreme.” D’Ambrosio has also spruiked the benefits of renewables for the state. The Napthine government continues to ignore renewable energy investment opportunities in regional Victoria. It’s recent decision to withdraw $25 million from the Greenearth Energy Geelong geothermal power project without any discussion with the company serves to highlight the government’s lack of a plan to attract to Victoria some of the $36 billion of investment that will be spent on renewable energy by 2020. With its pro-wind energy policy, a renewable energy target and the recently approved third Heyfield interconnector increasing capacity to send more wind power to Victoria, South Australia will continue to grow more jobs and investment while Victoria misses out. I just hope the opposition concentrate on presenting positive benefits and programs to land holders, communities and councils when they support/host wind energy (and other renewable technologies) and refrain from concentrating too much on the past. Carping from the sidelines is a big turnoff even if the message is critical. Chris, I’m assuming your latest post is an attempt at humour? If you are quite happy for Tony Abbott to pay big polluters to keep polluting using your tax dollars, fine. Don’t complain to me when your living costs continue to increase. Carbon tax! What carbon tax? There IS no carbon tax! The “Clean Energy Futures” laws impose a price on carbon but it is not levied on taxpayers – so it is not a tax. It is an ‘environmental levy’ imposed on a small number of big enterprises who choose to make profits for their investors – mainly foreign – by contaminating the environment we all depend on for survival! In fact the fund that accrues from this levy is used to compensate low income earners for any increase in their costs that arise from this process. The Coalition has misrepresented this arrangement for years with three word slogans designed to confuse voters, and worse still, Labor was too dumb to see that they were being screwed in the process. No wonder they lost the election. Now Australia will become a ‘laughing stock’ as we drift back to the fifties and all our expertise in renewable energy technologies will fizzle as other nations cash in on the new era of low carbon economies. I can remember a time when Australia was a world leader in radio astronomy. Then, after a string of conservative governments, we no longer rate. John, Chris has demonstrated on a number of occasions now that he isn’t interested in facts. Hence his reference to the mythical carbon tax. He evidently doesn’t understand how it works and why it’s more equitable than the NLP’s direct payments scam. Your references to radio astronomy illustrate the point perfectly that Conservative governments thank her about the future other than forecast profits in the short term. After the Second World War we also had a burgeoning space industry which was killed off by Menzies. And then you only have to think back to the days of John Howard when solar and solar thermal technologies were sold off overseas because developers could not get any government or private industry support here. Now we are seeing it again with Abbott scrapping support for renewables and the same thing happening in Victoria with funds being withdrawn from a geothermal project. John lives in a fantasyland.